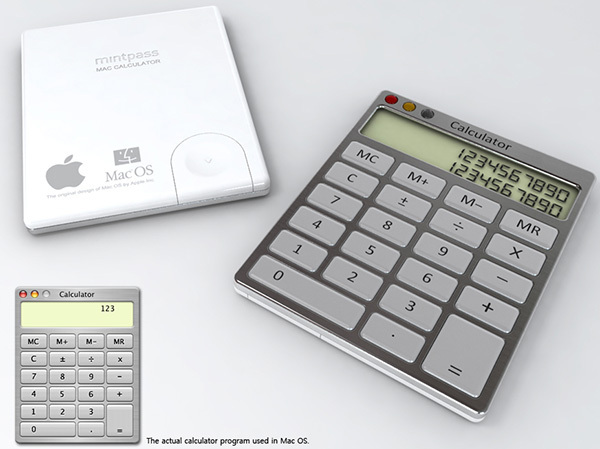 Collection of unusual calculators and innovative calculator designs from all over the world. 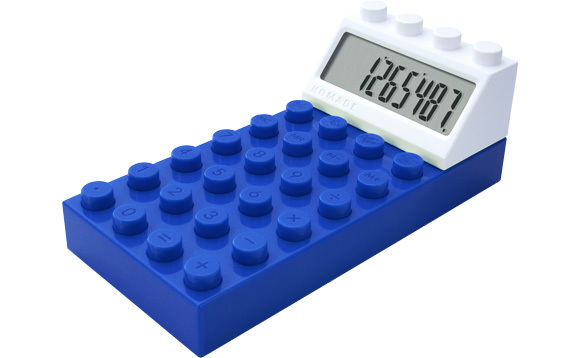 Building Block Calculator: Blocks inspired calculator by Homade comes in black, blue, green and red. 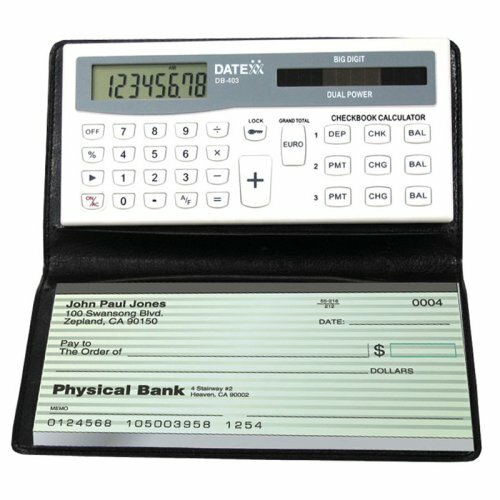 Checkbook Calculator: It keeps track of personal budget, income and expense records; comes with soft black leatherette wallet that holds the checkbook calculator and your checks, bank receipts, credit cards and more. 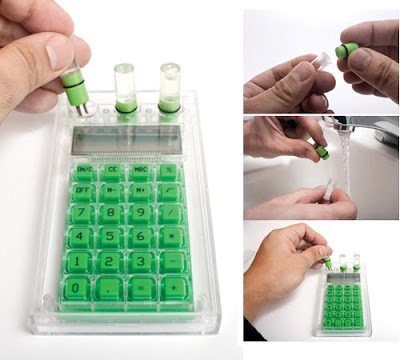 Water Powered Calculator: A cool water powered calculator, thats cool for school or work. 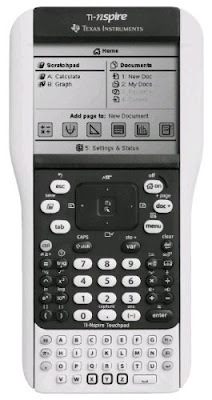 Ti-nspire Graphing Calculator with Touchpad: You can explore individual representations, one at a time, or as many as four on the same screen. Comes with an easy-glide touchpad that works more like a computer with a mouse. 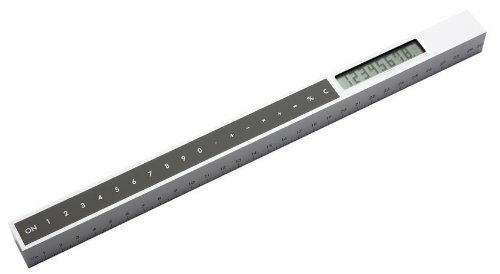 Apart from this you can see multiple representations of a single problem - algebraic, graphical, geometric, numeric and written. 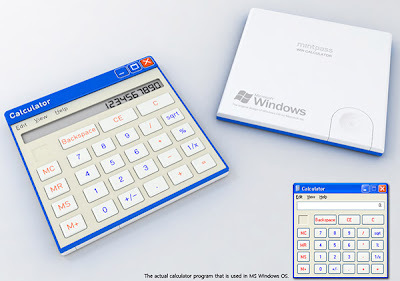 Keyboard Calculator: It has a USB connector that allows it to be used with a computer for entering calculations. 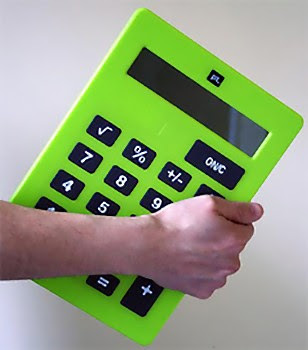 XXL Calculator: This unusual calculator is the same size as an A 4 piece of paper. Mouse Calculator: An innovative combo product that integrates mouse and numeric keys function in one. 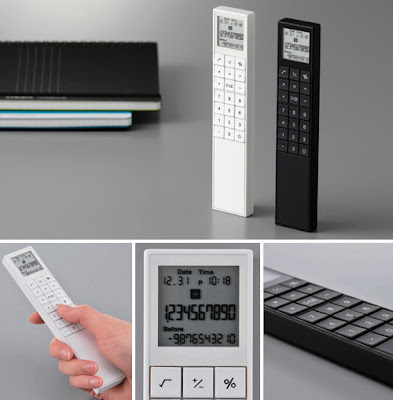 Sleek Calculator and 30cm Ruler: Designed by N Tolstrup, this cool calculator is perfect for architects or artists as it combines a ruler on your calculator. 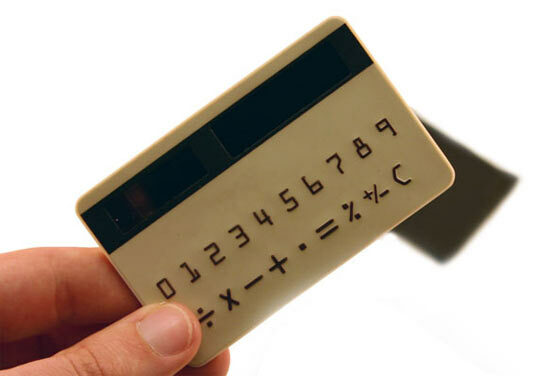 Credit Card Calculator: This convenient calculator looks like a credit card and comes with raised numeric keys. Hopscotch Calculator: A clever calculator that takes its inspiration from hopscotch. 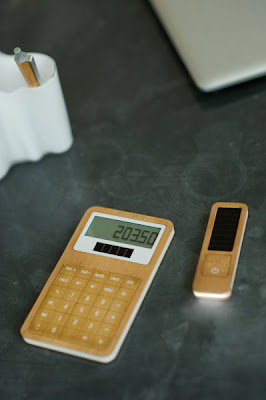 Bamboo Calculator: Made from bamboo, its simple and contemporary and comes with dual power supply. 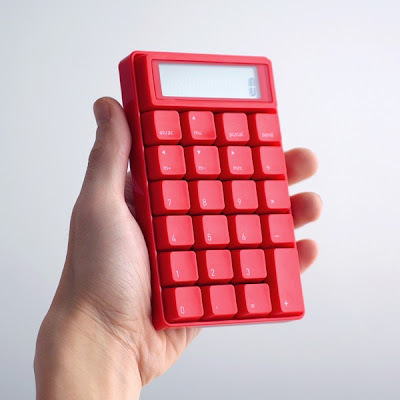 Chocolate Calculator: It's a real calculator that has chocolate's scent and color.